You've been asking Hip Hop Trooper your social media questions all month and now's it's time for some answers!! Who's more gangsta, Hip Hop Trooper or Darth Vader? Does Hip Hop Trooper pimp hoes? And what's deadlier, a horse-sized duck or a duck-sized horse? 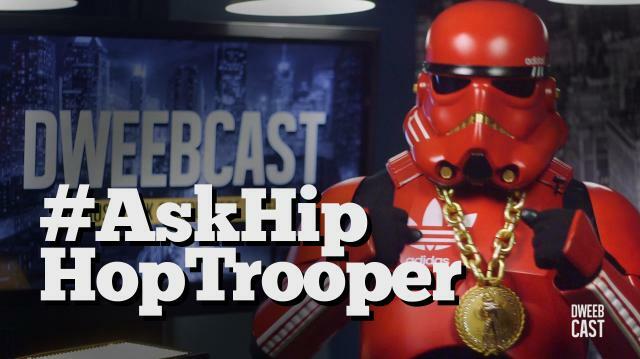 Be sure to ask your questions with the hashtag #AskHipHopTrooper! THE LIST: 5 Best Cosplayers from Long Beach Comic Con!